Sob Sisters, who'd worked hard supporting Hillary's election bid, were stiffed by the self-absorbed candidate on election night. New Albany, MS– Over a pre-Christmas drink at Tallahatchie Gourmet, a friend referred to Clinton supporters and the Obama Administration as the “sorriest damned losers” he’d ever seen. He is a fellow who knows whereof he speaks. He is a practical man with long experience as an effective political operator. Not a “policy wonk,” not an ideologue, not a guy who gets himself overly worked up about words like “liberal” and “conservative,” realizing they have less meaning, less value than ever before in political discourse. He is simply an honest man who intimately knows politics and how it really works. My politico friend’s remark has taken on even more meaning for me in the intervening week. 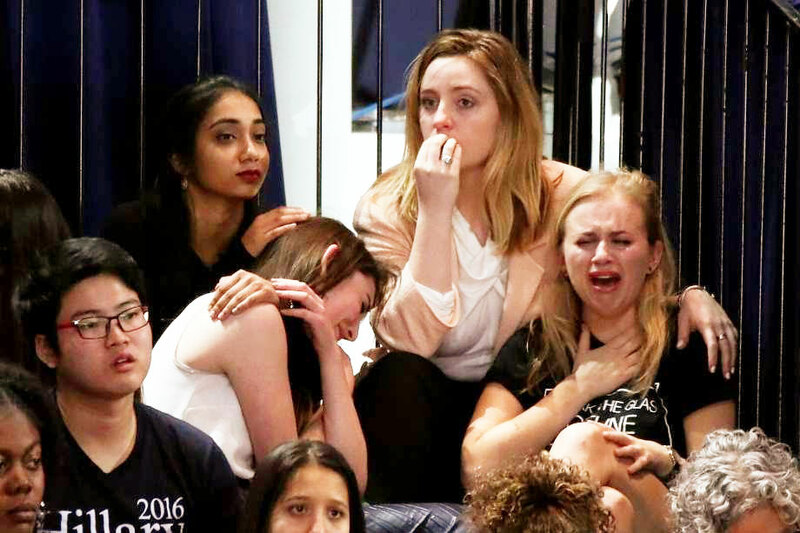 Sob Sisters, who’d worked hard supporting Hillary’s election bid, were stiffed by their self-absorbed candidate on election night. Starting election night, there had been the moaning and whimpering of the Hillary supporters lashing out at the winner. As with Hillary’s failure to show up election night to concede in a timely manner and to thank and comfort her stunned, teary-eyed supporters over their heroine’s failure, the political losers this year have shown a remarkable lack of class and grace. Michael Moore offered to pay the fines for “faithless electors” who’d refuse to cast their Electoral College vote for Trump. 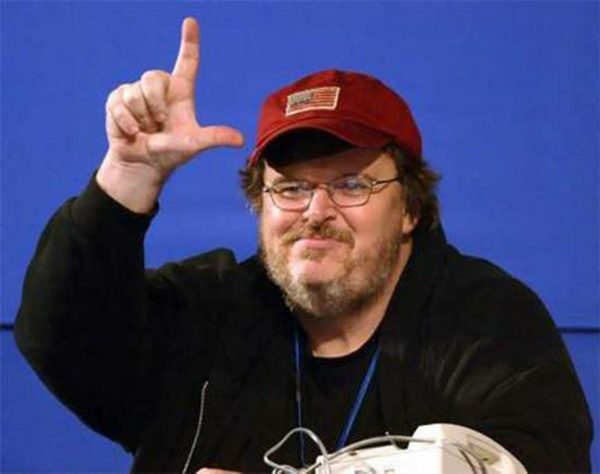 The puny and often incompetent national news media has continued full of breast-beating from people like Michael Moore, Elizabeth Warren, George Soros, Robert Reisch, Jill Stein, Al Gore, etc. trying to organize an anti-Trump rival court. Millions of e-mails have been sent out, begging for donations to finance what the losers are calling their “Resistance” to President-Elect Trump. What was that about gracefully accepting the results of the election? The words, “get a frigging life” have come frequently to mind. 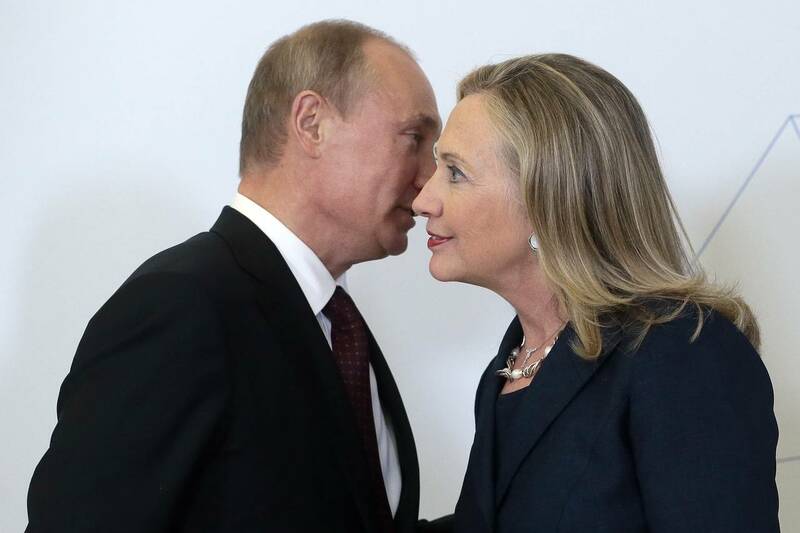 Ironically, the Russians are being excoriated by the same “liberals” who normally cozy up to them. Amusing. Immediately after the election, a visibly stunned President Obama righteously pledged support and a helpful transition. However, since Christmas Day, he and his administration have gone completely off the reservation, making statements and threatening actions that show unprecedented antagonism by an outgoing, lame-duck administration toward one that will be inaugurated in just over three weeks. Monday, the day after Christmas, from his hideaway in Hawaii, Obama made the tacky claim that he would have beaten Trump, had he been eligible for a third term. We can find no other instance in the last 100 years of an outgoing president being so graceless. On December 27th, the Obama Administration said it was trying to figure out what “sanctions” to take against Russia for having provided the American voters with truthful information about Hillary. It was not surprising that Republican Senator John McCain, never a particularly reliable character, and his little buddy Lindsey Graham, also a Republican, joined the chorus of voices calling for sanctions against Russia. (You may recall that Trump said some unfavorable things about McCain’s mixed military record during the campaign.) McCain and Graham appeared Wednesday for a joint statement with New York Democratic Senator Amy Klobuchar, a long-time Clintonite. Today, December 29th, the Obama Administration retaliated against the Russians by expelling 35 of their people, giving them three days to leave the U.S. Of course, the Russians are likely to react by expelling a like number of Americans. Obama has initiated a silly, pointless game, which he cannot win, and which the Trump Administration will have to unsnarl. 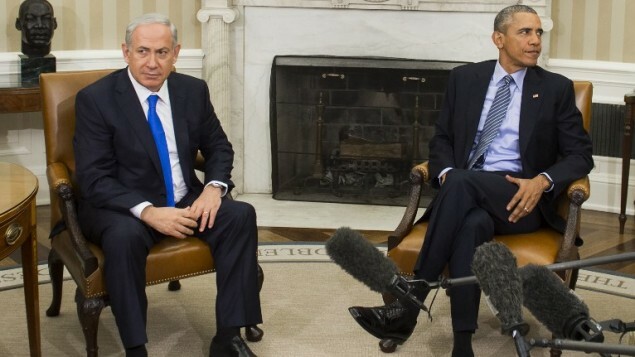 Is body language at this November 2015 meeting a clue to the last-minute slap Obama would give Netanyahu, leaving Trump to deal with the consequences? Wednesday, Dec. 28th, Obama’s Secretary of State, John Kerry, bellowed the lame-duck administration’s displeasure with Bibi Netanyahu and the Israeli government’s lack of enthusiasm for the anti-Israel lobby’s “two state” solution. Destroying the Muslim registry and changing policy on off-shore oil drilling by presidential orders, are just two more examples of Obama’s crew trying to hijack the incoming government. We cannot find any instance in the last 125 years in which a lame duck administration has tried so hard to frustrate what it believes will be the policies of the newly elected administration. We were not Trump supporters (although we were glad that Hillary lost), but Donald Trump will be the only elected President we have for the coming four years. We have just had 16 years of inept performance by the tenants at 1600 Pennsylvania Avenue, which has weakened the country in countless ways. All of us, including Hillary’s sorry losers, have a vested interest in Trump being a successful President. *Some of our readers might be interested in this BBC article, published nearly two weeks before the election, which detailed exactly what information about Clinton was disclosed in the “Russian hacked” emails. What a disgusting fake story. That you would publish such garbage without attaching the name of the writer is bogus. And then to imply that the article was somehow linked or published by the BBC, when it fact it has no connection to the BBC at all. Cheap tabloid trash, even worse than the National Enquirer. Whoever allowed this to be published should be ashamed of themselves. It certainly doesn’t put New Albany in a positive light. I can assure you that I know where my advertising dollars will NOT be going. While NAnewsweb.com recants nothing in this article, we do wish to acknowledge that most Clinton voters are sensible, loyal Americans who accept the presidential election results gracefully, if not gladly. The noise-makers, many of whom admit to not having voted, are a minority. As to Mr. Wilson, we know nothing about him or his business, except that we have never offered to sell him advertising on NAnewsweb.com. We sell advertising only to people we know well. Our advertisers are all people we know to be reputable businesses with products and services of good and dependable quality.